Night diving means excitement, adventure and fascination at the same time! When the sun goes down, you put on your diving gear and put your mask on and put your machine in your mouth. You breathe deeply and step into the underwater night. Although you have seen this environment much more often, this time you will enter a new world and see how it comes to life under the glow of your dive lamp. You can experience the excitement and thrill and adventure of night dives as you take the SSI Night diving and limited visibility specialty | Night dive and poor visibility specialty finishes. You will learn about the planning and equipment of night dives and how to navigate at night. You practice this in two night dives, and you get to know a whole new group of animals that comes out after the sun goes down. To make the experience complete, you can make an optional third dive in the middle of the night in Vinkeveen where the chances of real hunting pike, walleye and eels are the greatest or make an extra dive in water with poor visibility ... ! Join the experience! It's worth it! Number of dives: For the SSI Night & Limited Visibility diver specialty we make two dives. 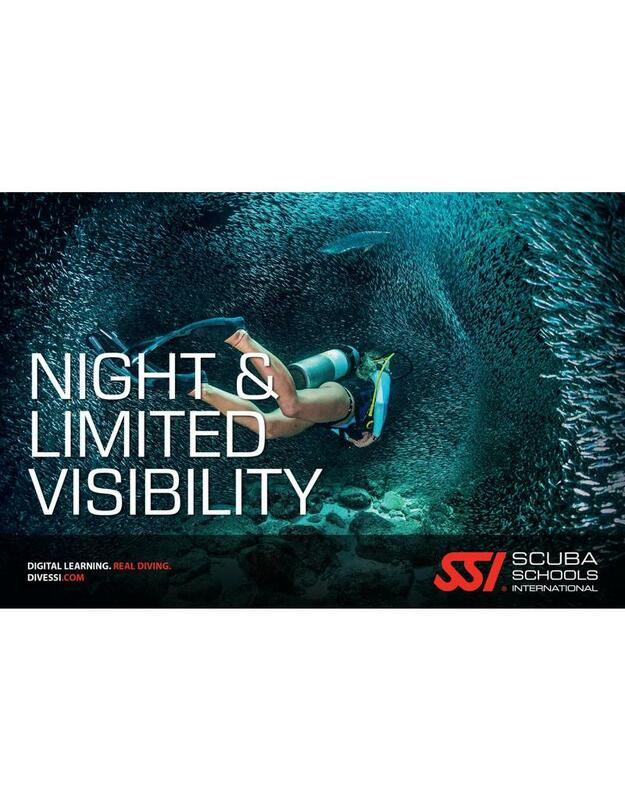 The SSI Night & Limited Visibility diver specialty course can be followed at our diving school in Vinkeveen and Almere 7 days a week between 09:00 and 23:00 h. Call or email us directly to record your date or book directly online and we will contact you. to make an appointment when it suits you! Diving equipment: During the SSI Night & Limited Visibility diver specialty course you use Your own diving equipment or You can rent the necessary diving equipment with us!